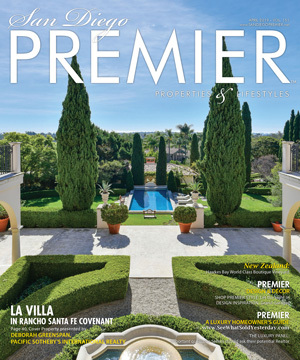 THE FEBRUARY ISSUE Breakdown of MLS reported sales for 12 luxury areas analyzed by price points with year supply estimates, including Rancho Santa Fe, Del Mar, La Jolla and more. Breakdown of MLS reported sales for 12 luxury areas analyzed by price points with year supply estimates. 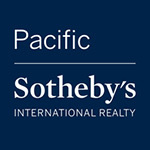 This detailed information provides important indicators for pricing and marketing strategies for buyers and sellers. 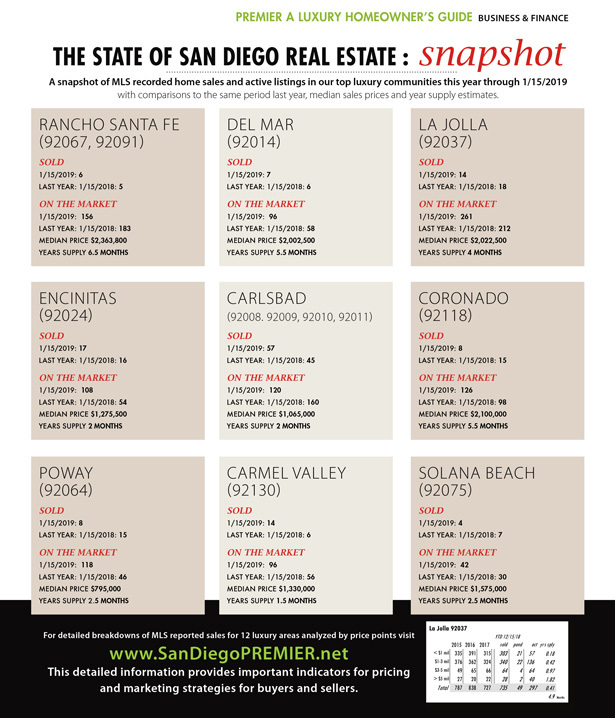 Rancho Santa Fe, Del Mar, La Jolla, Carmel Valley, Carlsbad, Coronado, Encinitas, Solana Beach, Poway, Downtown San Diego, Point Loma and Rancho Bernardo/Santaluz/4S Ranch.